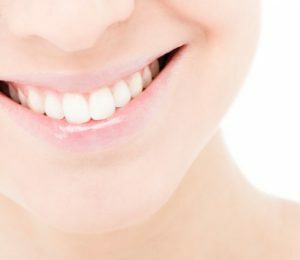 IF YOUR SMILE REQUIRES EXTENSIVE DENTAL WORK TO REINSTATE FULL FUNCTION AND BEAUTY, you need look no further than Staten Island Dental Care! Dr. Hecht, a restorative and cosmetic dentist in Staten Island, New York, has the training, expertise, and technology to provide complex full mouth reconstruction for virtually any patient. We offer a diverse menu of tooth replacement options, from dentures to bridgework to dental implants. Our custom porcelain crowns and tooth-colored fillings will maintain your smile’s natural beauty. From root canals to extractions to smile enhancement procedures, Dr. Hecht can prescribe the perfect treatment plan for your oral health and appearance. Will anyone be able to tell that I have had cosmetic dental work done? Staten Island cosmetic dentist Dr. Hecht takes each of his client’s needs and wishes into account when developing a treatment plan. When you are finished with your full mouth restoration, your smile will look so natural people will think you’ve had perfect teeth your entire life. Dental implants are surgically implanted into your jawbone and are a more permanent solution to missing teeth. Dentures are another option for replacing missing teeth, but are held in place with adhesive or clasps. Dr. Hecht can also use dental implants as a way to make dentures more secure. I get nervous during lengthy dental procedures. What can Dr. Hecht do to help? We realize some patients are not comfortable in a dental chair so we do everything we can to make the experience as relaxing as possible. Some patients find it helpful to bring their own music and headphones to listen to. Staten Island Dental Care also offers sedation dentistry in the form of laughing gas, oral conscious sedation and IV sedation, when necessary. If you live on Staten Island, call to schedule an appointment at Staten Island Dental Care today. We look forward to helping you reclaim your full functional smile, then keeping it strong and healthy for life!